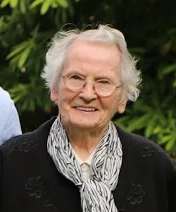 Our oldest Sister, 99 years young died peacefully on June 18th, feast of the Sacred Heart at Maryfield Nursing Home Chapelizod, Dublin. We pray she will be celebrating her 100th. birthday in the presence of the Lord whom she so faithfully served. This highly gifted Sister was born in Co. Armagh and during her 75 years as an SMG served in many communities in UK and Ireland. 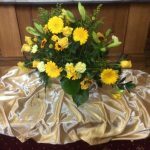 Her final active ministry was in Maryfield where she assisted with activities for the elderly residents. She had an eye for and a great appreciation of beauty and nature. Her care and compassion extended to all of creation , fulfilling the precepts of “Laudate Si” ever before it was written. May she now enjoy the beatific vision to the full.